Wise Owl’s Fish Oil Omega 3 capsules gives you a higher level of actives than most omega 3 supplements. Our fish oils are absolutely clean, stable & free from pollutants. Suggested dose is 1-2 capsules daily, so this is a 1 to 2 month supply. 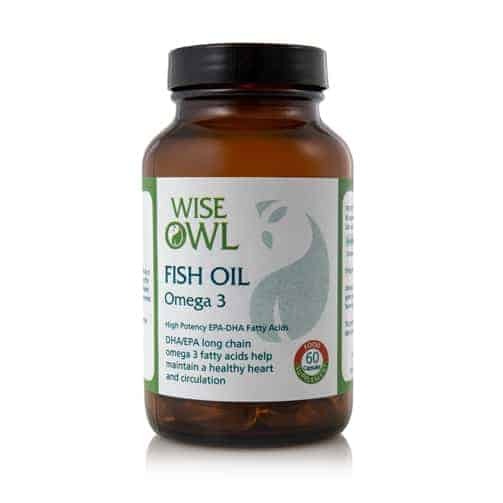 Wise Owl'sOmega 3 Fish Oil capsules contain 3 fatty acids derived from fish/fish oils in a high potency formula that helps to maintain a healthy heart & circulation & are recognised in having an essential role in normal brain function. Omega 3 is a "good" fat which cannot be produced by the body. Wise Owl's high potency omega 3 fish oil capsules give you a much higher level of actives than most capsules will give you. Each 1000mg capsule contains 550mg EPA/DHA. Unlike 90% of our supplements, our fish oil capsules are not whole food as such, but food extracts selected for their excellent results with consumers. They are made from whole oily fish; sardine & anchovy. We do not use fish livers to avoid heavy metals which can accumulate in the liver. Our fish oil supplements are absolutely clean, stable & have NO trace of any of the ocean pollutants, heavy metals, etc. (Detection is now possible in parts per million). Our high potency omega 3 fish oil capsules give you 550mg EPA/DHA per 1000mg capsule - this is a much higher level of actives than most capsules will give you. Our fish oils are guaranteed to be clean, stable & free from pollutants. Fatty acids are recognised in having an essential role in normal brain function. Our Fish Oil capsules are ideal for all adults and children over the age of 10 years – in an easy to take gluten-free capsule. Each fish oil capsule gives you 550mg EPA/DHA per 1000mg capsule. The product is made from whole oily fish: sardine and anchovy. Unlike 90% of our supplements, our fish oil capsules are not whole food as such, but food extracts selected for their excellent results with consumers. We do not use fish livers because oily fish are often harvested from polluted water where heavy metals can accumulate in the liver. All fish oil supplements are absolutely clean, stable and have NO trace of any of the ocean pollutants, heavy metals, etc. (Detection is now possible in parts per million). normal (fasting) blood concentrations of triglycerides. Recommended Intake: 1 - 2 capsule daily with your main meals or as directed by a practitioner. Not suitable for: People with allergies to fish. Contraindications: Avoid if there is any deficiency of the liver, or if you are on antithrombotic drugs (e.g Warfarin or Heparin), consult your doctor first or take no more than 1 capsule daily. Do not exceed the recommended dose. Allergy Concerns: *THIS PRODUCT CONTAINS FISH DERIVATIVES AND THEREFORE SHOULD NOT BE TAKEN BY PEOPLE WITH ALLERGIES TO FISH. 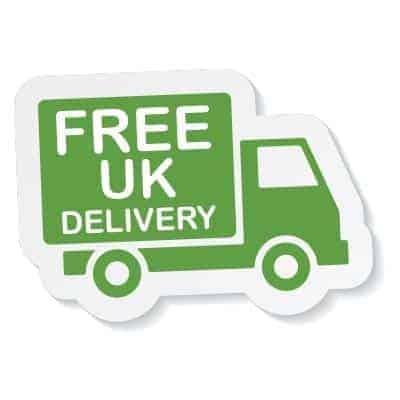 Free From: Wheat; yeast, starch, gluten; lactose; added sugars, colourings, flavourings & preservatives. Guaranteed clean, stable, & free from pollutants. Product Ingredients: Fish oil concentrate (from sardine & anchovy); capsule shell: gelatin & glycerine. Product Non-Actives: Gelatin and glycerine.